Safely storing your powerful Lithium or Li-Ion CR123's is made easy with this handy battery case. By protecting the positive and negative terminals, this case eliminates fire hazards posed by lithium cells. 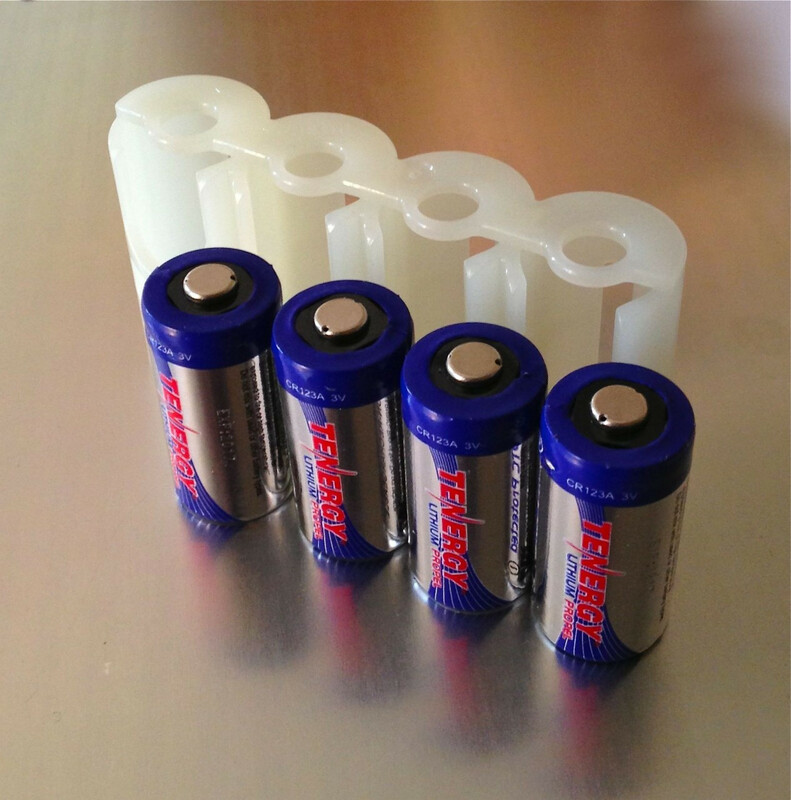 This is also an excellent way to keep your fresh batteries separate from spent cells, and ensure you will be able to quickly locate new batteries when it's time to drop in a new set. This set is also available as a Combo Kit that comes with Four Tenergy Batteries. You may be interested in . . .